Wherever we are, whether we’re moving into the season of shorter days and longer nights, or easing from daylight to the dark of night, we move into the Deep Yin cycle of Nature. Ironically, in the Northern Hemisphere, the deep-Yin season coincides with the ‘Black Friday’ holiday frenzy that fills a lot of people with anxiety, for various reasons. This year — for several reasons — there’s even more stirred up and unsettled, within and around us. We all know that nothing good comes from burnout — from ignoring the signs of our body and psyche’s need for rest, rejuvenation, refilling the cauldrons and wells within us. 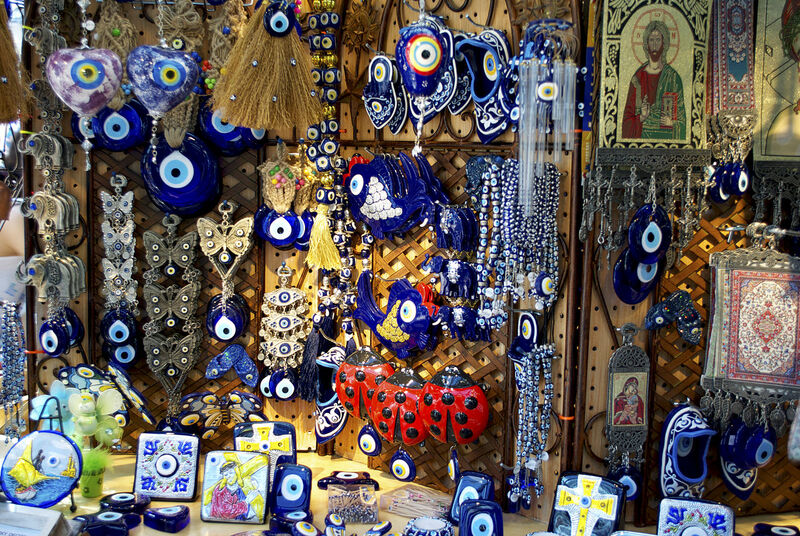 • receiving higher or Divine inspiration and intuitive guidance. The Blue Bird, 1918, by Frank Cadogan Cowper (1877-1958). PD-US. They also knew — and so do we, at our heart and core — that these are necessary if we want to experience a revived sense of purpose, vocation, and motivation, or break through seeming stagnation. Though our modern minds and fluorescent lights go 24/7, our more ancient brains and eons of body wisdom and instinct still feel Nature’s Cirdadian rhythm. As it grows colder and/or darker, part of us naturally knows to slow down, rejuvenate, gather energy, reflect, receive, incubate, gestate, regenerate … the ‘way’ and ‘doings’ of Yin, the Deep-Yin Feminina. We create suffering and agitation … and perhaps unwellness … when we resist the body and psyche’s need for restoration time. Who wants that? Instead, we can benefit from finding our ‘right balance’ between the activities we’re engaged in and the restoration and rejuvenation that refills our energy, inspiration, and sense of well-being. 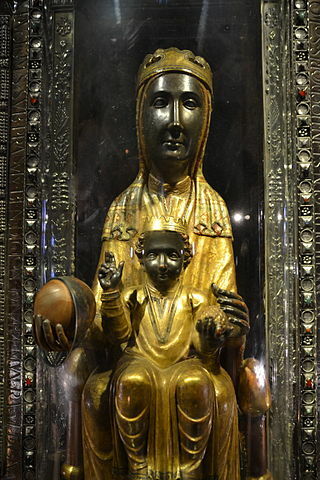 La Moreneta Madonna of Montserrat, a more renowned Black Madonna located at the Santa Maria de Montserrat monastery in the Montserrat mountain in Catalonia. Wherever one is in the world — whether it’s Winter or Summer — night is Yin Time, too (as are moist, dark ‘inner places’ of the Earth, like caves, and inner-places of our own being). It’s the balancing element and essence that keeps the fiery, solar, active, busy-do Yang from burning out, and us along with it. It is the wellspring from which wellbeing and creative and wise action are sourced. … The Great She who has traveled over many millennia through different cultures and known by many names: the Black Madonna, Cerridwen, Kali Ma, Ta’Nit, Sophia, Isis, the ‘creative void’, the ‘field of pure energy and potentiality’, and many more. To me, when we speak of the Dark Goddess, or her “deep places of Wisdom,” we’re referring to the Whole Goddess, Feminine, in all of her depth, richness, fecundity, and Wisdom. It’s always deeply rejuvenating and empowering for me to sink into or sync up with the Deep Feminine, deep Yin, and it’s wise as well — research shows that slowing down, breathing deeply, sleeping well, and other restoring practices helps us to be more well. The Daydream, 1880, by Dante Gabriel Rossetti. Public domain image courtesy of the Google Art Project and Wikimedia. Refill your own wellspring with the Deep Feminine, Deep Yin restoration from sleep, dream time, meditation, quiet, reflection, and just slowing it down a bit. 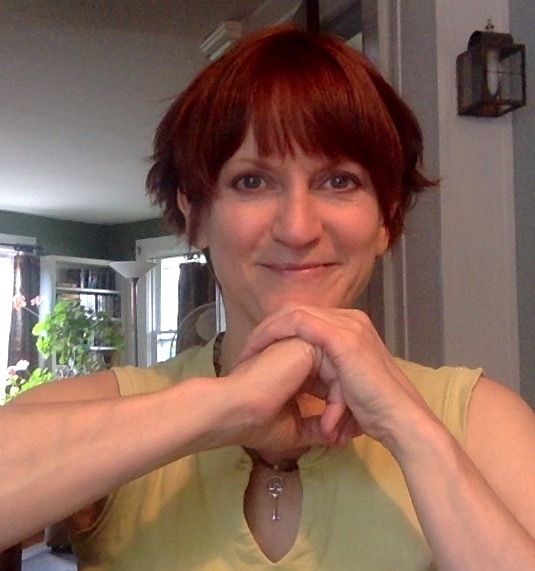 Find more ‘Soothe & Refresh‘ tips in the Empaths & Sensitives Series – Energy Hygiene. Love, Wild-Wisdom and Heartful-Vision Blessings. Featured Image Credit: Pandora’s Box (1871), by Dante Gabriel Rossetti. As with many feminine characters in history and mythology, Pandora’s story got revised in a grinchy, anti-Feminine way. Read a liberated version of Pandora’s story here. Ready to Rise … and Shine? For clues, epiphanies, and greater clarity on what has joy, heart, and meaning for you (and how to step into and express that), team with me as your inspiration partner, mentor, and guide. Thank you, Julianne Victoria! That’s a lovely gift as we ended 2013 and started 2014. Much appreciated.